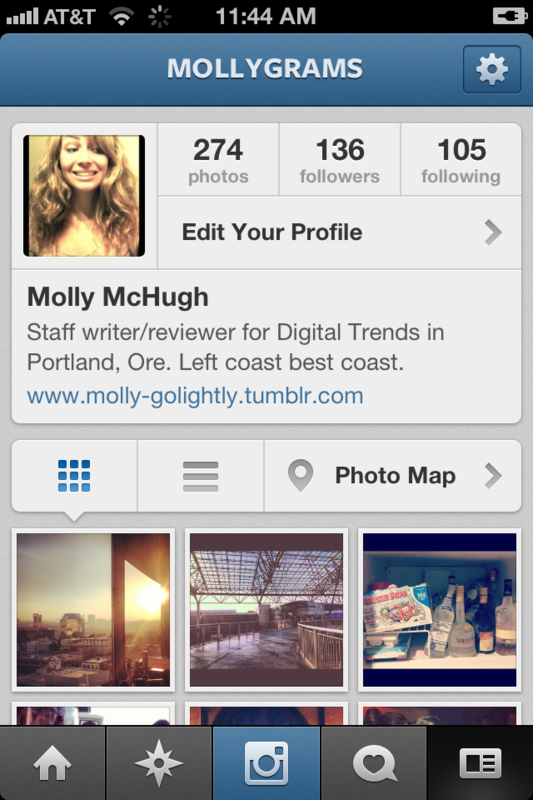 Facebook acquisition or no, Instagram keeps building. 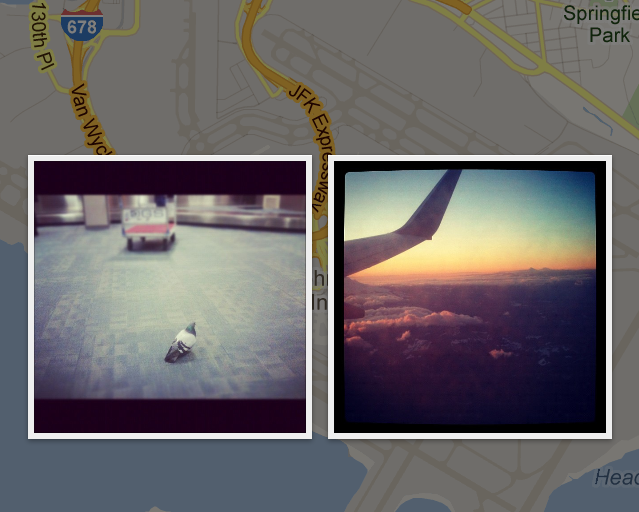 Today, everyone’s favorite photo-sharing app pushed a significant update, the most notable feature being Photo Maps. “We’ve introduced a new and unique way to browse your photos and others’ photos on a map, which means you’re no longer constrained to browsing through page after page of photos,” the company announced via its blog, saying browsing was a focus for this latest update. There have been a handful of popular Web alternatives for this function, like Gramfeed and Mapstagram, which create a feed you can view by location. But including it in the native mobile apps for Android and iOS is a big change that gives Instagram some much-needed variety to its photo discovery experience. Now when you view a user’s profile, there’s an option to browse photos via a Photo Map, which plots thumbnails along Google Maps. 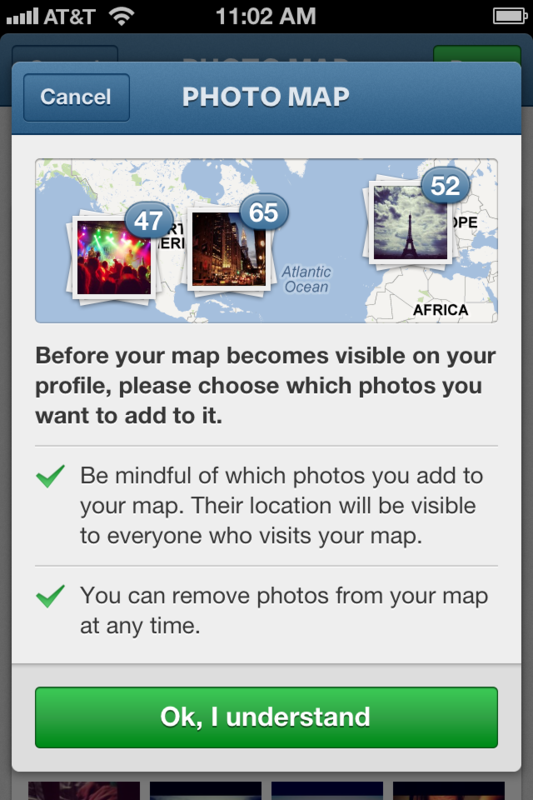 In order to use Photo Map, you have to give Instagram permission to go through your geo-plotted images and you select those that you’re okay sharing with via the function. Those that you don’t select will lose their location information permanently. The understanding is that, from now on, when you geo-tag a photo and upload it to Instagram, it will be sent to Photo Map, but the app is giving you the choice to go back and strip this data from pictures you don’t want plotted. Pro tip: Knowledge is power, people, so don’t include those photos taken inside your apartment. The update also includes some UI changes, many of which relate back to Photo Map. 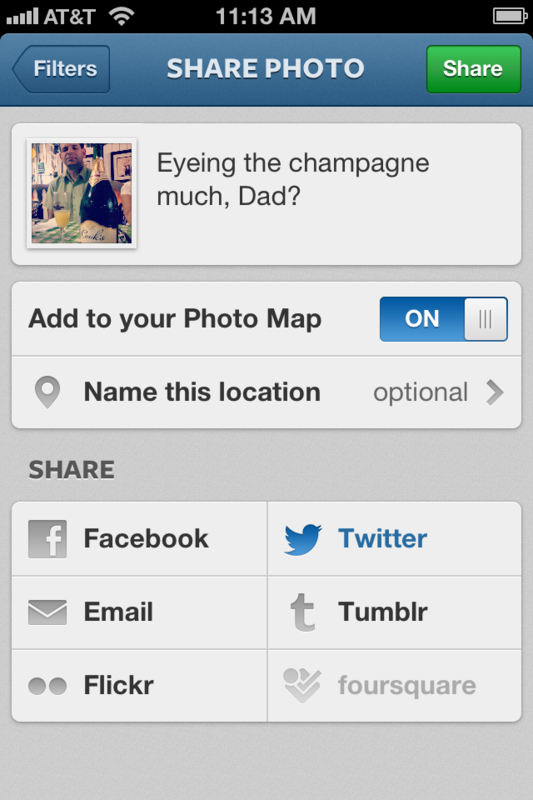 Now when you post a photo, there’s an on/off toggle to include the image on your Photo Map, and the option to share to outside social networks appears on this page as well. User profiles will also get a makeover, with different viewing options – by tiles or the traditional full-screen scroll – as well as the new geo-focused display. A few other comparably minor tweaks include the addition of infinite scrolling, speed improvements, and the ability to report individual comments as abuse or spam. Instagram has become a go-to for location-specific events (I’d like to once again take this opportunity to point out Kevin Love’s account and his unparalleled documentation of the U.S. Olympic basketball team; pure gold… pun intended), and aiding that sort of discovery will only keep up this momentum. Not to mention the fact that this gives us a whole new way to approach discovery other than the endless scrolling we’ve become all too familiar with. The update puts Instagram in a very good position to lay claims on social photo mapping — something that many, many apps have tried in vain to do. 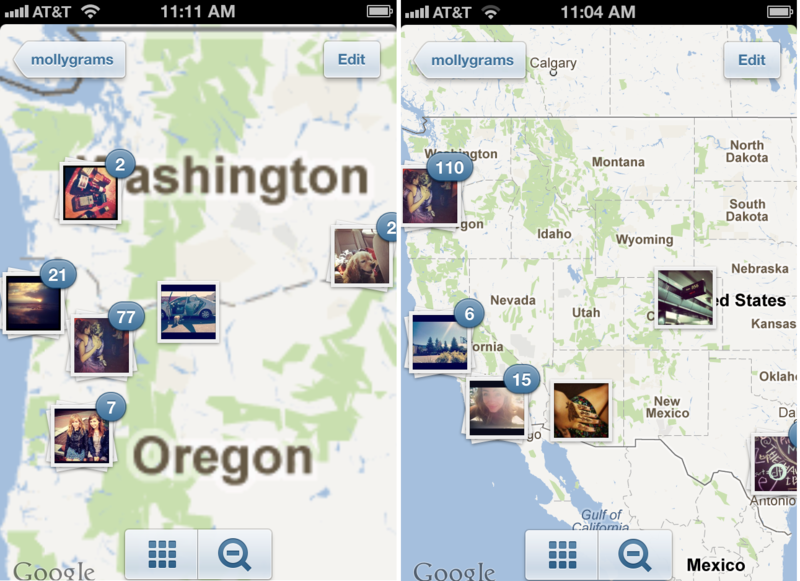 Pairing photos and location is tricky stuff, but if any platform is primed to do it, it’s Instagram.